When you post about country music online, every week we get new followers from all around the world. Many of our followers are country music artists who most of us will not be aware. This month we will introduce you to our Country in the UK twitter follower - Needle and Salt (@needleandsalt). 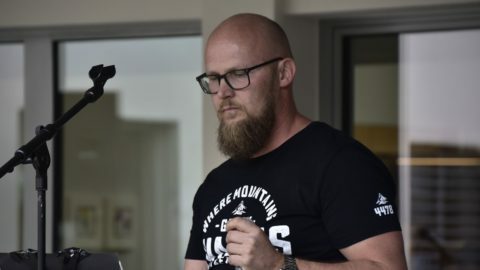 Having joined twitter just over a month ago in November 2018, the duo have labelled themselves as The Newest Country Duo of Switzerland. While many are still suprised by the rise of country music, they may be more suprised by learning that there are country music artists performing out of Switzerland! A quick search of the band will bring you to their official website, which thankfully has an English section to make this a little bit easier! The needle, quite certainly the tailor’s most important tool! Rolf has ‘stitched’ together numerous songs, working with text writers from all over the world. Many of these songs have been published. 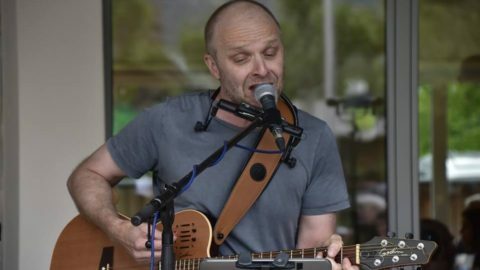 Again and again Rolf’s songs are ‘on top’ at international songwriter competitions, as in 2006 when he won the ‘Lennon Award’ and in 2014 the ‘Australian Songwriter Contest’. “Amongst all precious stones the earth presents to us, salt is the most valuable” (Justus von Liebig, Chemist, 1803-1873). Strong, clean cut and with a sparkle, that’s how Fredy’s voice comes along. No matter if it’s a traditional or a modern country song, Fredy adjusts and knows exactly just how much salt is needed to make the ‘soup’ taste delicious! Get Me Out Of Here is a song of hope for a better life, which wouldn't sound out of place on a record by many of the mainstream artists in Nashville at the minute - "oh lord you gotta get me out here, send me where there's palm trees and ice cold beer." Their latest track, Waiting, is a tale of falling in love - "I've been waiting for you all of my life." ​You can find both tracks below. 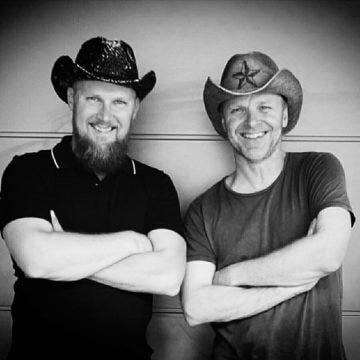 With the rise of country music in the UK, will we soon be welcoming this duo from Switzerland with plenty of pop-up stage opportunities at one of our many festivals in 2019? In October each year the country to country lineup is announced. For me this is one of the strongest lineups across the entire weekend and continues to show the impact country music is having in the UK and even more importantly, big name acts from Nashville want to cross the Atlantic to perform for us. Although, as ever you can’t keep everyone happy so we have done some opportunity cost research for those that are thinking they will look to save the money for another event instead of going inside the arena. With weekend ticket prices announced you can get three days of non stop country music at the O2 for as little as £134, or if your wallet can stretch far enough you could treat yourself to the top price ticket next year of £906 for the weekend. This is before you even consider trying to find a decent hotel in London for under £150 a night! On the same weekend as our festival, former headliner Eric Church will be in Toronto. Tickets for the show are currently on sale for 50 Canadian dollars, which with today’s exchange rate works out at £29. Yes, less than £30 to see the chief on his double down tour. A direct flight on the Friday morning and flying home on the Sunday night (one less nights accommodation needed than in London) currently costs £364, which totals under £400 for flight and tickets. If you can’t wait till November to get your next fix of country music, how about Pistol Annies in New York on the 2nd November? With tickets sold out you can get them on secondary markets for as cheap as $67, which is currently just under £52. Unfortunately, with it being last minute flights are just over £500 return, which brings your Pistol Annies trip total to £555. This trip option does come with a dilemma as on the same night Chris Stapleton, Marty Stuart and Brent Cobb are performing at Madison Square Garden. If you can wait till April next year, Country Thunder has some huge headline names, including Dierks Bentley, Chris Stapleton and Tim McGraw. A four day general admission ticket is just £124. It may not be a direct flight, but a return ticket can cost as low as £350 to fly Wednesday to Monday. Not a bad trip for under £475!! Our fourth option would surely be a memorable trip. CMC rocks in Australia. Taking place just a week after C2C , the weather would be over 20 degrees, much nicer than the wind and rain of London! Tickets for the event are currently priced at £190 for the full weekend, which includes acts like Florida Georgia Line, Thomas Rhett and Luke Combs. Return flights to London can be found for under £525, bringing your Australian country music experience to £715!! The final option we will give you is Nashville. While some of the biggest names head here, why not pass them in the sky to their hometown. With flights out on the Wednesday and back on the Tuesday for as little as £283 this is a tempting option! The only issue with this option is that there aren’t currently any concert listings available for this week, but it’s Nashville! This would be your chance to uncover the next big names and future headliners of C2C. All this being said, very well done to the folks at Country 2 Country for continuing to bring some of the biggest names in the industry to us for 3 days of music. It is sure to be an incredible weekend for all those in attendance. Recently, as artists have been heading over from Nashville to do a UK tour they have also bought a support act with them. While this does stop UK artists getting an amazing opportunity in front of a home crowd and building their profile it is also and opportunity to see up and coming American artists who would not yet have the UK fan base to play the same size venues. The cost of bringing a support act with you is not cheap, so more often than not they come simply armed with a guitar, a real treat for many fans as this would not happen in America as they would have a full band with them. As Ashley McBryde took to the Shepherds Bush Empire stage on Thursday night to support Luke Combs, many had clearly remembered her sets from Country to Country and turned up early. However, clearly not everyone had arrived to see the set. Throughout the entire set, a constant drone of talking came from the sides and the back of the stalls area. To make things worse, people were even stood in the pit facing each other having a chat, not even interested in the set and even taking the dreary selfie!! My question at this point is quite simple, why have you come in at this point? If you are stood at the side during the support act you won’t get a much better view for the main act, so again, why have you come in at this point? If you don’t know London’s Shepherd’s Bush it isn’t exactly short of decent bars to have a chat with friends in prior to a concert - also it’s much quieter, I’ve done it plenty of times when it’s been cold outside and the line has been too long to wait in. These people that decided to come in for hat rather than watch the set by an incredible up and coming artist missed one of the best support acts of the year, who had the rare opportunity of playing for a whole hour - nearly as last night as Combs. There is no doubt that the next time McBryde tours the UK she will be the headline act and the same people will be saying they were there, when she had nothing but a guitar with her. If you aren’t going to watch the support act, come into the venue when the act you want to see is on. No one wants to hear you talking. It was an early start for Dan and Shay, Sugarland and Luke Bryan Tuesday morning (28th August), as they headed to Luke’s 32 Bridge bar in downtown Nashville to announce the nominees for this year’s CMA Awards as part of a special broadcast on Good Morning America. We will run down and discuss the nominees and give some of our predictions of who will take home the award. The first category announced was for the Female Vocalist of the Year. As with many award shows at the minute there isn’t too many suprises when it comes to the nominees and this category was no different. Some of the biggest names in the industry had their name announced with the five nominees being Kelsea Ballerini, Miranda Lambert, Maren Morris, Kacey Musgraves and Carrie Underwood. Four of the five were on the short list last year with Lambert taking home the award, however if we base this on releasing new music (not always how it works, I know) this award should be going to Carrie Underwood - following the release of her new album in September she should be the first female names on many voters lips, which sometimes seems to be the way artists get nominated in the first place! The Vocal Duo of the year is a tough category to choose a winner from, as again four of the five received a nomination last year. Brothers Osborne, Dan and Shay, Florida Georgia Line, Maddie and Tae and Sugarland have all released impressive new material this year. For me, the stand out artists of the minute are last years winners Brothers Osborne as well as Dan and Shay and Sugarland. All the nominees will think they have a good chance at winning this one and I think it will go to Sugarland, who returned with a bang earlier this year, who will add to their CMA Award collection. There have been some very good singles released this year and this is a category that could offer far more than just five nominees and still have people undecided. Dan and Shay have their second nomination for Tequila as do Florida Georgia Line for their track Meant To Be. There are also nominations for Chris Stapleton with Broken Halos, Midland for Drinking Problem and Jason Aldean and Miranda Lambert for Drowns the Whiskey. Stapleton seems to be a magnet towards trophies at the minute on award nights and the CMA’s may be no different. For this award though, my stand out is Dan and Shay with Tequila. Once again, its almost de-ja-vue with the Male Vocalist Awards. Last years winner, Chris Stapleton, will look for back to back awards but is up against tough competition from Dierks Bentley, Thomas Rhett, Keith Urban and a new nominee in the form of Luke Combs. It’s been a big year for Bentley, and for me he gets the nod for this one. The New Artist Award is the one I hate the most. I know CMA has detailed explanations of what constitutes a new artist, but how is it possible for a new artist to be nominated for the same award 2 years running? You should have one shot at this award and that’s it. The first nominee, Lauren Alaina, came to the attention of country music fans over 7 years ago now when she shot to fame on American Idol, the same year she released Wildflower. So she didn’t release any new material till 2017, but in that case we could say Scotty McCreery is a new artists as he disappeared to study at University for five years! Luke Combs and Brett Young, along with Alaina all received nominations last year so they are out of the running for me. Chris Janson first released his Buy Me A Boot album in 2015 so that’s him out, so by default (but also worthy winners) I choose Midland! Carrie Underwood, in 2016, was the last female to be nominated for the Entertainer of the Year category and that run will continue to 2019 now as for the second year running the 5 artist shortlist is all male. There is no disputing Jason Aldean, Luke Bryan, Kenny Chesney, Chris Stapleton and Keith Urban are all big guns in country music with headline appeal and have the ability to sell out stadiums, but so do many female artists. That aside, for me there is one stand out winner, Kenny Chesney. He is by far one of the biggest names and star attractions and has continued to show that on his recent stadium store. The Album of the Year could be one of the toughest categories to choose a winner from and is missing some big breakthrough and career defining albums. In the past few months Kacey Musgraves, Chris Stapleton, Keith Urban and Dierks Bentley have all released albums worthy of winning this award and if they were nominated with their current album in another year they would likely be clear winners in their own right. Thomas Rhett continues to release singles from his most recent Life Changes album, which was released last September, and also is fully deserving of a nomination. For me it could well be a toss of the coin between Musgraves and Bentley. Time for another category that baffles me. We’ve already had the Single of the Year, now time for Song of the Year – all of which have been released as singles!! Some of which have been nominated for Single of the Year. Is there a need? Probably not. Will it change? Nope. I know this one has more of a focus on the song writer, rather the artist and producer – but to me it is just the exact same thing as surely the writer would still claim recognition if their track won Single of the Year!!!! Sam Hunt makes his first appearance with Body Like A Back Road, Chris Stapleton, Jason Aldean and Dan and Shay all make a return with Broken Halos, Drowns and Whiskey and Tequila, before the nominations are wrapped up with Chris Janson’s Drunk Girl. Again, by default I rule out 3 nominations and between Drunk Girl and Body Like A Back Road, my vote goes to one of the what is country music artists Sam Hunt and the writers Sam Hunt, Zach Crowell, Shane McNally and Josh Osborne. Another big hitters award is up next on our run down with Vocal Group of the Year. 3 acts are used to seeing their names for this award with Lady Antebellum, Little Big Town and Old Dominion receiving nominations in 2017 and 16. Midland and Lanco finish of the nominees this year and for me, Lanco has had an amazing year and are sure to win this award many times throughout their career, but I don’t think they are going to be quite big enough to compete with the big guns of Lady A and Little Big Town. LBT won last year so this year I’m going for Lady A. The Music Event of the Year award looks at the artists who have collaborated over the past twelve months. Dierks Bentley and Brothers Osborne teamed up for Burning Man and they are up against Jason Aldean and Miranda Lambert for Drowns The Whiskey, David Lee Murphy and Kenny Chesney with Everything’s Gonna Be Alright, Floida Georgia Line and Bebe Rexha for Meant to Be and Maren Morris and Vince Gill for Dear Hate. David Lee Murphy made a triumphant return to the charts with his track, however, I’ve overlooked Aldean and Lambert earlier but I think this one has their name all over it. The final award we will give our run down to is the Music Video of the Year. Dan and Shay get another nod for Tequila, Sugarland teamed up with Taylor Swift for Babe, Carrie Underwood returned with Cry Pretty, Chris Janson gets a nomination for Drunk Girl and Thomas Rhett offers Marry Me to the voters. Having only recently started to pay attention to music videos, I have to admit these seem like safe options as I think I have seen far better than some of these – however, the stand out video from this selection for me is Sugarland featuring Taylor Swift with Babe. Congratulations to all those that have nominated for this years awards. We will be back straight after awards night to see how we did with our predictions and bring you the news and stories from the big night. As a country music fan, one of the unique things I enjoy collecting is memorabilia - especially signed cd's. Each year at Country to Country, Hump Head Records set up there stand with a vast collection of cd's that have been signed by some of Nashville's biggest names. From their stand a few years back I managed to pick up a signed copy of Eric Church's Mr. Misunderstood album and this year Dustin Lynch. At concerts I have been lucky enough to buy some from merchandise stands, including The Brothers Osborne and Dan and Shay or even getting the opportunity to meet artists and get items signed in person - with highlights being Kip Moore and Lanco. Being in England, not every band tours here and not every artists chooses to sell these items at merchandise. One way though I discovered to build on the collection was through artist pre orders, through both their own shops, label websites and two well known records stores - Newbury Comics in America and Sanity in Australia. As you can imagine this isn't exactly the cheapest option as all these include international postage. The one saving grace for my bank account is that I refuse to pay more for shipping than the actual cost of the album. Take for example the Aaron Watson pre order available on his site at the minute. The CD costs $10. Pretty good value for money. However, when you choose the international postage option the cheapest available method costs an eye watering $35! As you can imagine the credit card stayed firmly in the wallet at this point. Thankfully, the majority or artists and stores charge a more reasonable amount of around $10. This means in pounds, most the signed CD's I buy cost about £16/ £17, which due to the unique nature of these in the UK and the cost of a CD on the high street it is not the end of the world. Where I am going with this is the disappointment when you spend this extra bit of money and discovered the artist hasn't signed the item at all. They have used what is called an autopen. If you don't know, an autopen is a machine used to automatically sign an autograph onto a document, while making the signature look like an excellent example of the person signing it. They are not hard to spot when you look at an autograph as there is many common signs. For example there would be no tail off at the end of the signature, dots at a change of direction and the more obvious one - lots of examples looking exactly the same. A few weeks ago I was pretty chuffed when I saw a post for a signed Kenny Chesney CD for his latest release on both the Sanity website and even promoted by himself on a limited edition run on his own website. Being an artist that I have not seen yet, and the rarity of his signature, this was a no brainer purchase for me. As the release day came and went my CD was in the post. When it arrived i was to discover an almost perfect full length Kenny Chesney signature. I don't know about you but if I was to sign several hundred CD covers all in one go I wouldn't use my longest signature and it would get a bit scruffy at times. Unfortunately, I knew the first place to look to get an idea if my worries of this being an autopen where true - eBay. As I said, I collect them and enjoy collect them and have no intention of making money from my collection, others however, pick up a CD for $10 and as soon as they recieve it through it on eBay for $50 - similar to the annoyance that is ticket touts - and have no interest in keeping the CD and may not even be a fan of the artist. I was not suprised to discover though that the signature on this CD was an exact match (although in a different place) for the CD I had in my hand. I reached out to a collectors club where other members agreed the signatures on their CD's were also pretty much an exact match. So, yes the money Chesney gets from this CD goes to charity but has he conned his fans into buying this signed copy of the CD? Yes. I'm sure many who jumped at the opportunity to buy from his site would have already pre-ordered it as this option came so close to release time so would have spent extra money. I'm also sure that many fans wouldn't even think twice about a signed piece from an artists website or a reputable store and will be in the process of having it framed to display as I would have been doing. Kenny Chesney is not the only artist I've discovered doing this. I have signed CD's from Jason Aldean's online store that is another excellent example of an autopen, as is a Rascal Flatts CD signed by all three, which I got from the Big Machine Record store. For me, a fan, it is a shame that artists or their managament feel it is ok to mislead fans buy selling these items without clearly stating they are an autopen signature. It will get to a point where fans will loose trust with an artist when looking at a signed pre-order and one of the more unique memories of an album will stop happening. For me an artist has to either say yes I will do a signed CD for fans or no I won't. Not cut corners. Thanks to the members of Autograph Live Magazine for providing me with the picture above of a few members Kenny Chesney signed CD's and to Dan and Shay who continue to show why there fans are obsessed. ​This week Maren Morris tweeted her fans to comment about the number of male country music artists who have turned their hand to owning bars in downtown Nashville and that when she can afford to she will be opening one called My Church. She isn’t wrong in her remark either. While Florida Georgia Line opened FGL House in 2017 and Jason Aldean has recently opened up Jason Aldean’s Kitchen and Rooftop bar on Broadway they were by no means the first to make this jump. Dierks Bentley expanded his Whiskey Row restraint chain to Nashville in 2017 while John Rich also opened Redneck Riviera Bars in Nashville and Las Vegas in the same year. Alan Jackson owns AJ’s Good Time Bar while Jimmy Buffet owns the national chain of Margaritaville, which includes the soon to open Margaraitaville hotel in Nashville (as well as locations around North America and the caribean), casinos in Tulsa and Vegas and over 25 restaurants. 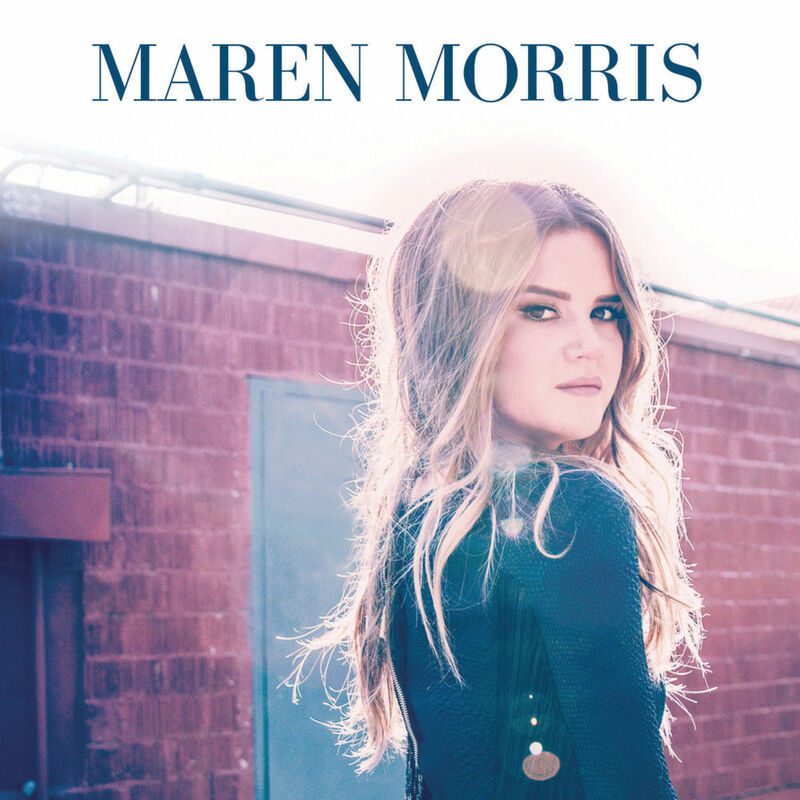 If Maren was to open My Church, she would also join bar owners like Blake Shelton (Ole Red Nashville), Toby Keith (Toby Keith’s I Love This Bar and Grill) and Gavin DeGraw (National Underground, Nashville). ​However, if setting up My Church doesn’t work out for Maren country music stars have also ventured into their own liquor brands. Owning FGL House isn’t enough for Brian Kelley and Tyler Hubbard who also launched Old Camp Whiskey, which they claim to be the whiskey for the non-whiskey drinker! Wagon Wheel singer Darius Rucker has also gone for a taste of his own whiskey with Backstage Southern. Always keen for the summer sun, Jake Owen has produced a naturally flavoured coconut and cinnamon whiskey with American Beach Whiskey. We may now know what Toby Keith keeps in his red solo cups, Wild Shot Mezcal. Blake Shelton on the other hand has shown he prefers vodka with his Smithworks Vodka brand. Our final country artist turned liquor brand owner is Kenny Chesney with his ten different flavours of rum, which banana, key lime and pineapple, as part of Blue Chair Bay Rum. ​With Maren suggesting she would use a song title to back her project if it ever became a possibility, we’ve had a thought of some other country artists who have readymade brand ideas. - Dan and Shay have shown their love for Tequila in the hit song of the same name so how about All Nighter Tequila. - If Frankie Ballard ever fancies starting up his own Whiskey brand he can go with Sunshine Whiskey from his track Sunshine and Whiskey. - We know Sam Hunt enjoys a House Party but how about a club called Speakers? - As Kip Moore likes spending some Beer Money surely he can leave Nashville behind for the English countryside to set up a quaint pub called The Bull. - Cole Swindell likes bringing it with beer so a music venue called Swayin’ would go down well. - One name I was surprised to see not already venturing into this market was Luke Bryan. With many drinking story hits a chain of Suntan City restaurants could be a good place to start.